Billing Boat #40 Thinner / Cleaner. Acetone based thinner for thinning Billing Boat oil enamel paints. Also for use for clean-up of tools and accessories - use immediately after painting - do not allow paint to dry. 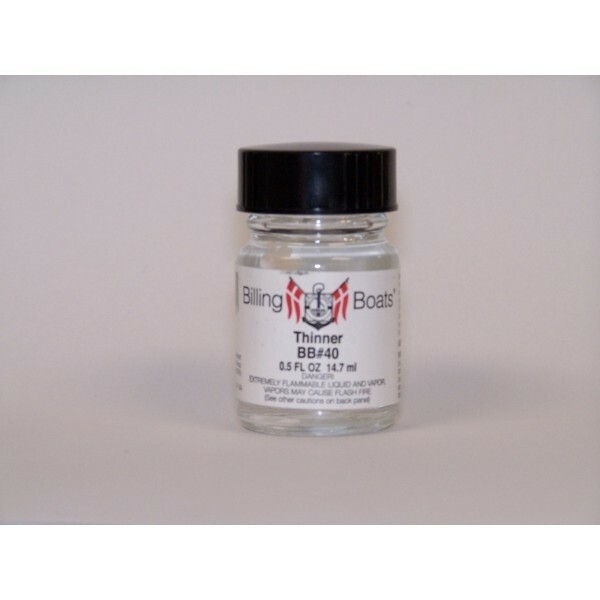 For brush application thin Billing Boats' paints sparingly to improve flow & leveling. Great for all hobby and craft projects. For airbrush application, thin Billing Boats' paints up to 20% using the least amount necessary for an even spray pattern.